Acquiescence By: Velya Jancz-Urban When Pamina Campbell learns of a murder committed over two hundred years ago in her Connecticut farmhouse in order to avenge an unforgivable crime, she accepts that there are some things in life that just can’t be explained. Two plot threads twine as one woman calls to another across three centuries. One story, featuring Susannah Mathews, takes place in the late 1700s, while Pamina’s story is set in present day. Pamina leans that disaster – the sort of disaster that leaves you numb on a park bench in Brazil – can be a freaky thing of beauty. As Pamina and her family try to piece their lives back together in their 1770 home, little do they know that secrecy, homophobia, and a ghastly confession await. 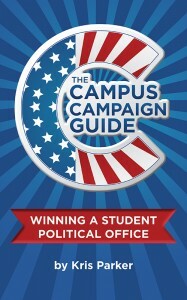 The Campus Campaign Guide: Winning a Student Political Office By: Kris Parker The Campus Campaign Guide is a comprehensive how-to for any student considering a run for student political office. From the beginning stages of the campaign through encouraging students to vote, Kris Parker’s book covers it all. 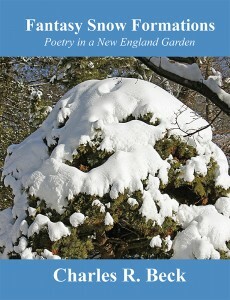 Fantasy Snow Formations: Poetry in a New England Garden By: Charles R. Beck This book is a result of snow formations photographed in the author’s backyard Oriental-style garden over a period of many winters. The accompanying poetry was inspired by the fantasy-like formations that would unexpectedly appear after a snowfall. 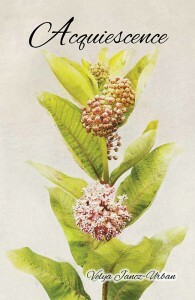 The author hopes the book will inspire children and adults to photograph scenes of nature and compose their own poetic impressions. Northern Lights spotted in the sky during the wrong season. Changes in the migratory patterns of waterfowl. Compasses that mysteriously shift on their own. When biologist Pierce Walker stumbles upon these seemingly innocuous events, he doesn’t realize that they will combine to tell a story that heralds dramatic upheavals to our way of life on Earth. 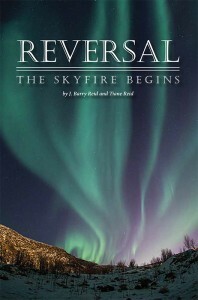 Together with his friend and colleague Mark Nevada, Pierce embarks on a journey to uncover the truth about the shifting—and possible reversal—of the Earth’s magnetic poles. Now that these upheavals are about to engulf an unsuspecting world, it’s a race against time as Pierce and Mark work to protect themselves and the future of the human race. But when corrupt government leader with a sinister personal agenda stands in their way, the two men quickly realize that he will stop at nothing to put an end to their involvement. Will they be able to warn society in time, or will it be too late? 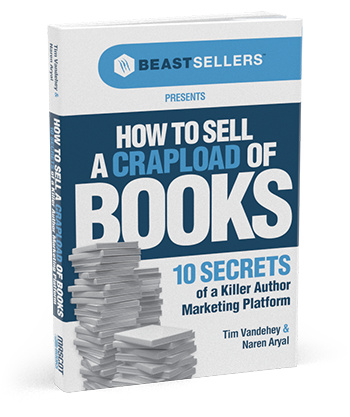 Full of adventure as well as scientific information, this gripping novel keeps you on the edge of your seat until the very last page. 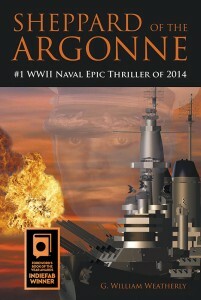 Sheppard of the Argonne By: G. William Weatherly The nightmares had begun during the weeks of surgery, one operation after another at Balboa Naval Hospital to repair his leg and make him “fit for duty.” And when Sheppard awoke during those weeks at the hospital… it was easy to blame the pain instead of the nightmares when nurses asked. Morphine dulled the reality of his horrific memories, but he had no morphine at home as he progressed from crutches to a cane and finally, now, to just a limp. Without narcotics, the dream grew sharper, clearer in the consequences of his decisions—his decisions, killing his men. Sheppard could not hide the dreams from Evelyn. He had never been able to hide anything from her. So he told her that it was indeed just a nightmare and that it would pass in time as his body healed. He could not tell whether she believed him. He hoped she did, for her sake. It would make his return to war easier. Sheppard feared that the dream would turn back into reality and he would have to live through it again. Three months of reviewing his own decisions to find his mistakes and learn from them only left him frustrated. The logic for his actions appeared justifiable and sound, but his motivation… what had it been—glory, ego, hubris? Before December 7th, Sheppard had been supremely confident, sure of his ability to lead his men, certain that he could not be beaten. Shemaron: A Beautiful Endeavor By: Fiona Malkin Having a moderately successful business and two grown up children, Fiona thought her life was fairly settled. She was unprepared for the impact that her husband’s purchase of an old fishing boat would have. 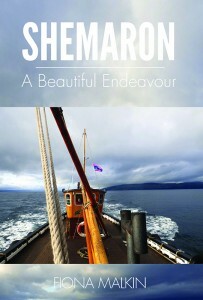 Shemaron: A Beautiful Endeavour is the story of her growing involvement on a practical and historical level whilst dealing with the inevitable frustrations of renovating an old boat. The turbulent and intimate interaction between fishermen and the sea is often considered alongside personal observations made from the deck of the ring net boat Shemaron. Poetical prose and historical interludes are woven into accounts of voyages undertaken whilst she and her husband have enjoyed guardianship of this historical boat. Find out how a year in Mr. C.’s class turns Scottie Turner into an amazing student. By cooking every day, Scottie quickly learns he can be whatever he wants to be when he grows up. 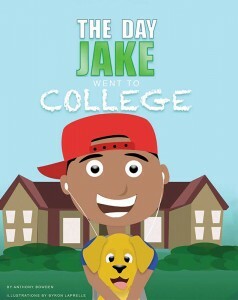 The Day Jake Went to College By: Anthony Bowden Josh and Jake are best friends who do everything together. But when one of them goes away to college, the other doesn’t know what to do with himself. See how friendship and love bring these two back together. 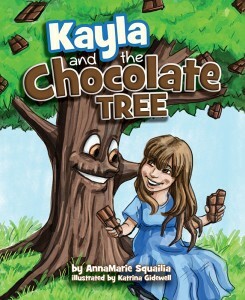 Kayla and the Chocolate Tree By: AnnaMaria Squailia Kayla loves chocolate so when she finds a chocolate tree she has to have one of the chocolate bars. But she can’t reach them! Discouraged, she goes home and brainstorms with her mom. Will Kayla come up with a solution to reach the chocolate? 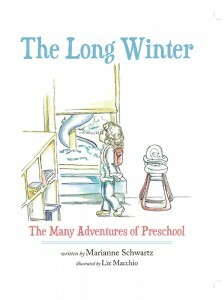 The Long Winter By: Marianne Schwartz The winter has been long and cold and Sophia just wants to go out and play. Her teachers surprise her with fun inside activities, but will they be as fun as playing outside? 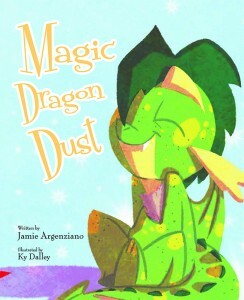 Magic Dragon Dust By: Jamie Argenziano Life at home with Mama Dragon was all Donny ever knew. But what happens when everything changes? It’s time for Mama Dragon to go back to work and Donny Dragon to start school. How will he make it without her? Nothing a little magic won’t solve…or will it? Passing the Bone: America’s Next POTUS By: Heather Patterson Bo Obama, Pup Of The United States, shares the dos and don’ts of being the nation’s First Dog as he prepares to pass the bone to his successor. The entire nation is wondering, Who will be the next POTUS? May the best candidate win! Will You Be a Rebel, Baby? 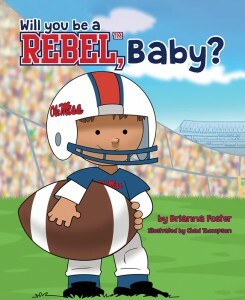 By: Brianna Foster Will you be a REBEL, baby? Proudly wear the red and blue? Hotty Toddy, little Rebel, Ole Miss waits for you! I don’t know if my comment went through, as I don’t see it. Either way, I really enjoedy your newest book “Cooking With Mr. C.”. It has a great message, the illustrations are beautiful and it’s just a wonderful book. I really enjoyed reading “Cooking With Mr. C.” A wonderful story and message for kids. 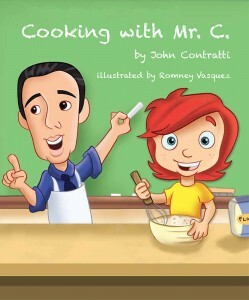 My kids love “Cooking With Mr. C.” It’s a terrific picture book with a very nice message. Congrats.